What can you do with your old laptop or PC when the time has come to update to the latest model? A householder has three options when it comes to disposing of old IT equipment: recycle it, sell it or donate it to a worthy cause. 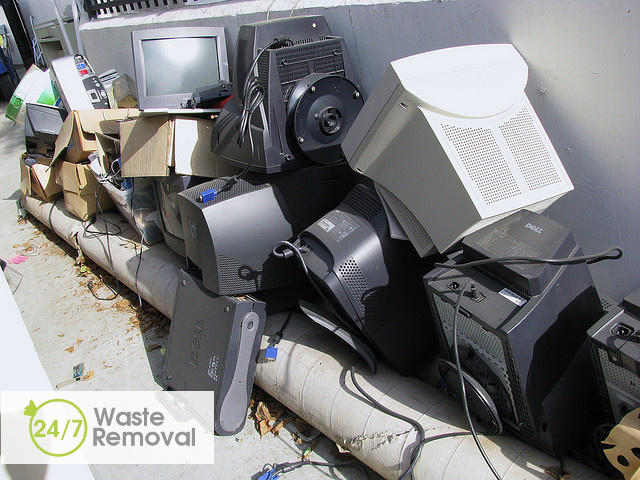 In 2007 the WEEE Regulations were introduced to restrict the disposal of electrical equipment into landfill. The theory is that you should be able to take any IT equipment back to the store where it was purchased but with today’s online shopping that’s not always practical. The simplest course of action for any IT owner is to take the item to the nearest recycling centre, where it’ll be correctly disposed of. You’ll be able to find the nearest one by typing your location into a local council website. The recycling centre will send it to a specialist dismantler, and any toxic substances will be removed. The remaining parts will be broken down or recycled. When it comes to a laptop you have the problem of disposing of the battery. There should be a dedicated receptacle at the recycling centre where it can be placed. If you don’t know anybody who wants it you could sign up for a recycling organisation such as Freecycle. All you need to do is advertise your equipment and pretty soon the offers will coming flooding in. You won’t get any money for it but there may be someone with something interesting to swap. There are also many non-profit organisations who will take any old IT equipment off your hands. You might really want to get a bit of money for your unwanted equipment so you could try selling it. Advertise it locally or use one of the many online second hand websites such as Ebay or Gumtree. Don’t send the item until you’ve received payment and be prepared to pay a percentage in commission, especially for Ebay. An awful lot of sensitive personal data is stored on your IT device and you don’t want it getting into the wrong hands. Passwords, bank account details, phone numbers, email addresses and other information is fine to have stored in the memory of your computer when you’re still using it. But when the time comes to dispose of it you need to remember to delete all this personal data from the hard drive. Just dumping the information in the recycle bin is not enough. You need to use a dedicated and secure erase program to delete the data permanently. There are plenty of free ones available on the internet. Now you know more about IT equipment disposal it’s time to put what you’ve learnt into practice. Next time you buy a new piece of equipment see if the seller will take the old item off your hands. Otherwise you’ll need to find your nearest recycling centre or try and sell it and put the money received towards your new device. This entry was posted in "Waste Management" on Tuesday, November 18th, 2014 by 24/7 Waste Removal.